Now that the 2018 season is firmly behind us, and each club have had an opportunity to reflect on the individuals who have had an outstanding year both on and off the pitch, the Munster Cricket awards night - taking place tomorrow evening, are set to honour those exceptional individuals around the province. Last week we announced some of the categories on munstercricket.ie, and while there are still the traditional honours to highlight the best with bat and ball at the various grades, off the pitch there are a number of new additions. Many of these also falli into line with the relevant awards at National level, where those winners from Munster will be nominated to go forward to the glitzy Cricket Ireland ceremony in early-November. One is the Spirit of Cricket award, which recognises those who have lead by example in respecting the sporting ethos of a game whose very name is a synonym for respect. What makes this award particularly interesting from a Munster perspective however, is that these nominations are made on a club-by-club basis, voting for someone from another club who has best epitomised the Spirit of Cricket. It's something which can often be lost in the spirit of competition, particularly at the elite levels. However, in an age where gamesmanship is considered more important than sportsmanship, etiquette remains at the foundation of the modern game, and clubs recognising each other's ability to play the game in a fair manner can only be a positive step to protecting this hugely important part of the game. Another important off the field award is the President's Award to outstanding club person and/or official of the year, which recognises those who have exceptionally contributed to Munster Cricket, either directly with the Union or through work with their clubs. Last year's co-recipient, Kerry's Dave Ramsey, was given the honour thanks to his tireless work with the club in securing and developing their stunning Oyster Oval ground on the outskirts of Tralee, and Dave's nomination resulted in him being named as Cricket Ireland volunteer of the year. 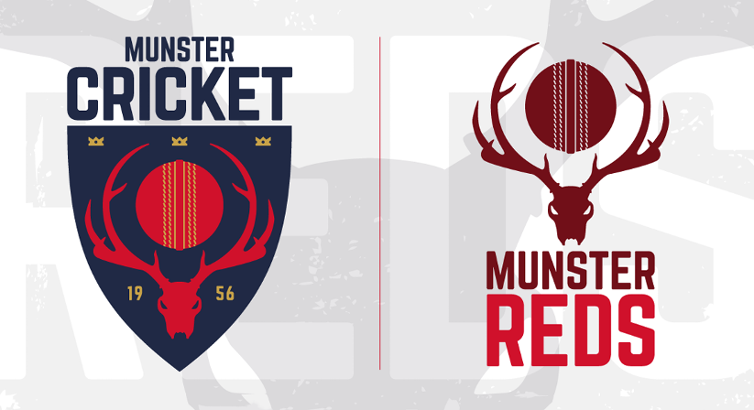 There will be awards for best batsman and bowler for the Munster Reds and Munster Heat, to compliment the usual distinctions at the various domestic grades, and hopes are that some of the Reds’ senior players will be on hand to present the new generation their rewards for a fine season at U17 and U15 level. Cork County will be looking forward to collecting their Premier Division and Senior T20 medals, while there should be a good travelling party from Tralee once more, as they collect their first ever Munster Senior Cup medals, as well as Co Tipperary, whose seconds secured both Division 2 and T20 titles. Limerick's second, third, and fourths all have awards to collect after a fantastic year for the Adare-based side, while UCC can celebrate their first provincial trophy since re-forming five years ago, having captured the Minor Cup.